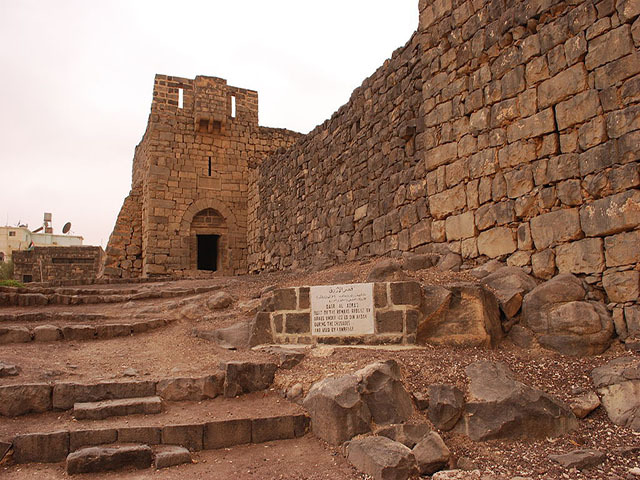 Qasr al-Azraq is a large fortress located in eastern Jordan. 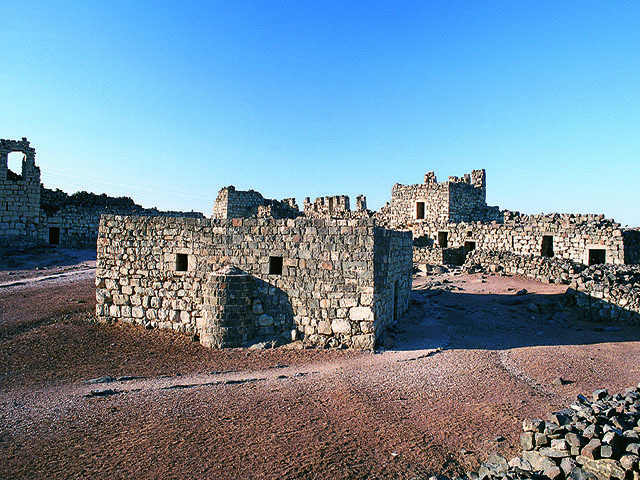 The Romans built a stone structure using the local basalt stone that formed a basis for later constructions on the site. 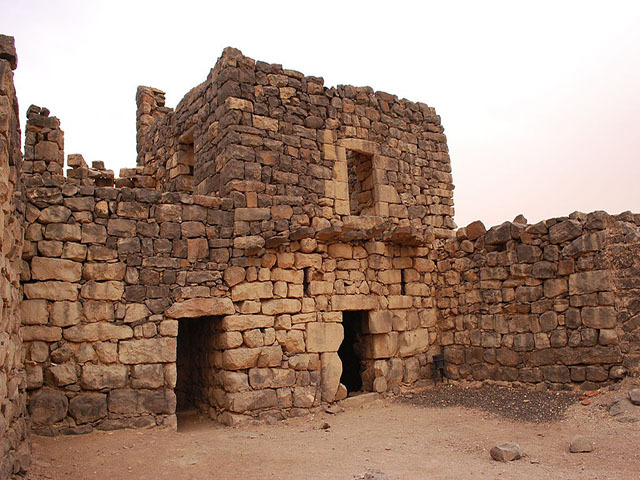 Qasr al-Azraq underwent its final major stage of building in 1237 AD, when 'Izz ad-Din Aybak, an emir of the Ayyubids, redesigned and fortified it.